We are a leading Manufacturer of triplex plunger pumps from Coimbatore, India. Our company deals in the manufacturing and supplying of Triplex Plunger Pumps. We offered these triplex plunger pumps in standard quality and customized forms to our clients. 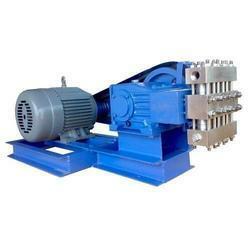 These pumps are widely used in various industries and in high demand in the market. In addition to this, these pumps are achieved process efficiency as well as low pulsation. Apart from this, these are available at the lowest prices to our customers. Looking for Triplex Plunger Pumps ?